Anna Kern was a Russian noblewoman, author of memoirs. In history she is most known for the role she played in the life of great Russian poet Alexander Pushkin. 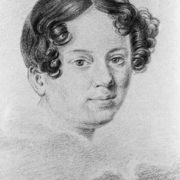 Anna Petrovna Kern was born on February 11 (22), 1800 in Orel. Anna’s parents belonged to wealthy bureaucratic nobility. Her father, Peter Poltoratsky, was a Poltava landowner and court counselor. 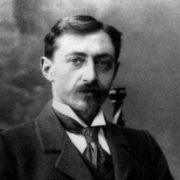 And her paternal grandfather Mark Fyodorovich Poltoratsky was a Russian singer and state councilor. The girl read a lot and was very beautiful. Her father found a husband for her, General Ermolai Fedorovich Kern. Anna was 17 years old, Ermolai Fedorovich was 52. Their wedding took place on January 8, 1817. In her diary Anna wrote: “It is impossible to love him. I can’t even respect him. To tell the truth, I almost hate him.” The girl gave birth to three children, but she was rather cold to them. 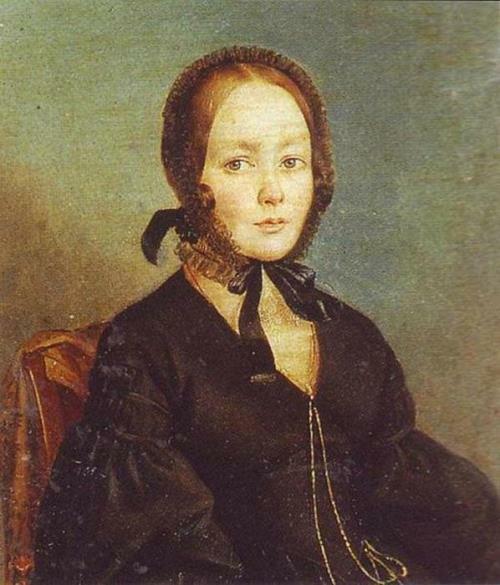 Her daughter Ekaterina (born in 1818) was brought up in the Smolny Institute, daughter Anna (born in 1821) died at the age of 4, and the youngest daughter Olga (1826-1833) lived for only 7 years. Anna, as the army general’s wife, travelled a lot with her husband. 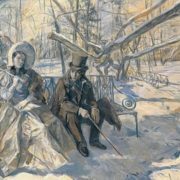 The couple visited Elisavetgrad, Dorpat, Pskov, Old Bykhov, Riga. 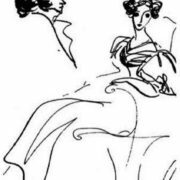 In early 1819 in St. Petersburg she first met Alexander Pushkin. You know, in the same year a certain man appeared in the life of Anna, whom she called “dog-rose” in her diary. Then she had a love affair with A.G. Rodzianko, a local landowner. To tell the truth, at first the great poet did not make an impression on Anna Petrovna, he even seemed a bit rude to her. However, thanks to Rodzianko, Pushkin and Anna Petrovna became friends. She was delighted with the poetry of Alexander Sergeevich. 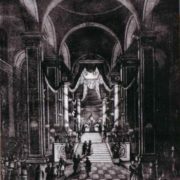 In June 1825, Anna had left her husband and came to Trigorskoe, the estate of her aunt Praskovia Aleksandrovna Osipova. There she met Pushkin again. 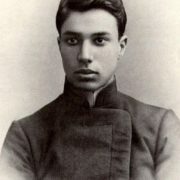 He had been exiled to the neighboring Mikhailovskoye estate. 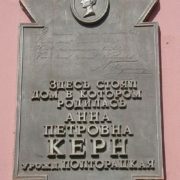 In Mikhailovskoye Pushkin wrote his famous poem dedicated to Kern – A magic moment I remember. 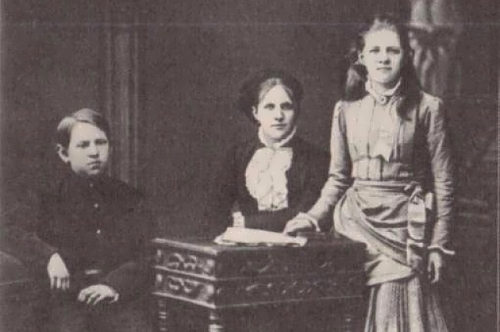 Later, in July, Osipova took her daughters and Kern to Riga, where Anna Petrovna’s husband served. 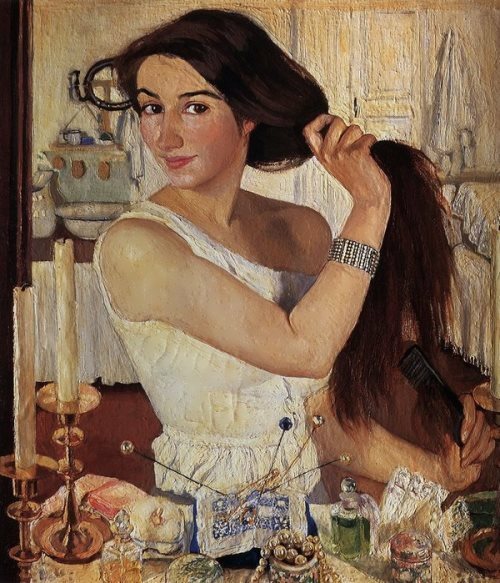 Anna had a love affair with Alexei Vulf. They were together for 4 years. 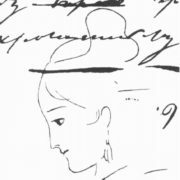 In May 1827, Anna Kern finally moved to St. Petersburg and broke up with her husband. 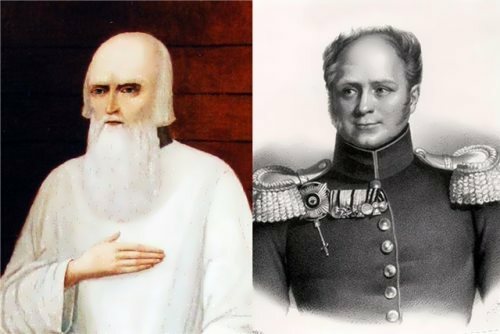 At the age of 36, in 1836, Anna fell in love with a 16-year-old cadet of the First Petersburg Cadet Corps, her own second cousin Sasha Markov-Vinogradsky. Three years later she gave birth to their son. 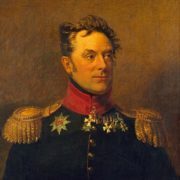 Old general Kern died in 1841 and Anna became free. A little bit later, on July 25, 1842, she officially married Alexander Markov-Vinogradsky and they were together until his death. However, they were very poor and Anna Petrovna even had to sell her treasures – Pushkin’s letters to her. Alexander Markov-Vinogradsky died of stomach cancer on January 28, 1879. 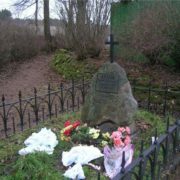 Some months later, on May 27 (June 8), 1879 Anna died in Moscow. There is a legend about the last “meeting” of Anna Petrovna with Pushkin. Allegedly, when the funeral procession with her coffin was passing along Tverskoy Boulevard, the monument to the famous poet was being erected there. 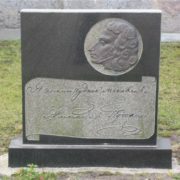 Anna was buried in a churchyard near the old stone church in the village Prutnia (6 km from Torzhok). 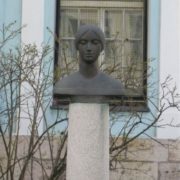 100 years later near the former church, a modest monument to this woman was erected in Riga.